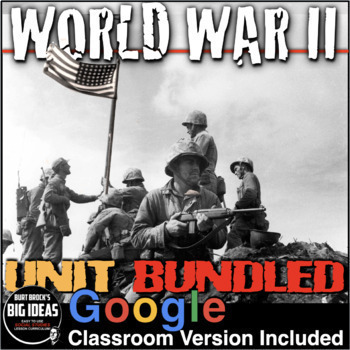 World War II Unit Bundle Includes World War 2 PowerPoints, primary source readings, maps, and a poster activity, crossword puzzle review, Kahoot! review game and editable assessment, all bound together with daily lesson plans. Just copy and paste to your lesson plans. Each lesson begins with a warm-up, and continues with PowerPoint notes, primary source document reading or map activity and an exit ticket. 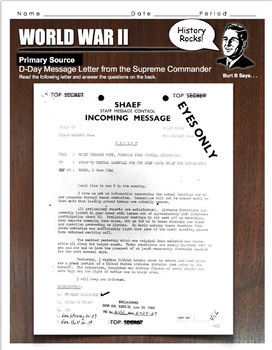 WWII PowerPoint notes include lecture notes to guide you through the presentation. I have used these lessons with Honors and regular students. 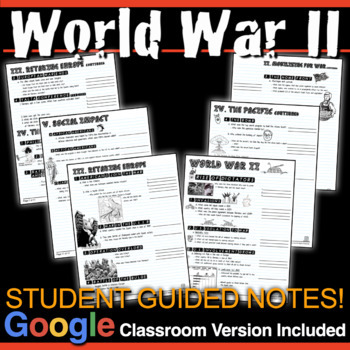 WW2 PowerPoints also include youtube links to short videos that engage the students. • Daily Lesson Plans - Copy/Paste into yours! • Kahoot! Review Game - Students use their phones! **Kahoot! online review game was created and is tailored for the unit exam.